Chicago’s historic Pullman neighborhood will become a national monument, perhaps putting it into the National Park Service’s portfolio—the first Chicago property to receive such a designation. President Barack Obama is expected to name the Far South Side area a national monument during a visit to his adopted hometown next week, invoking his presidential authority under the Antiquities Act for the 14th time. White House officials said it is part of Obama’s efforts to diversify the nation’s collection of historic places. An analysis by the liberal Center for American Progress found fewer than one-fourth of 461 national parks and monuments had a focus on diverse groups. 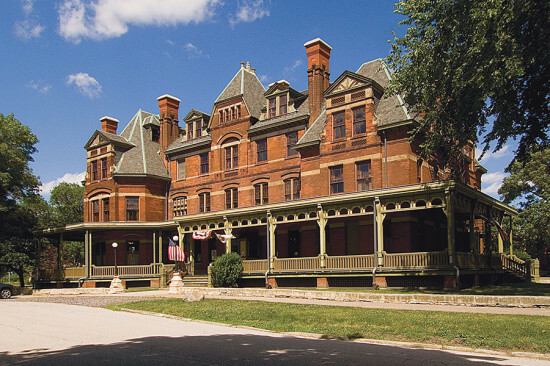 The home of Pullman Palace Car Co., which made sleeper cars for rail passengers, the Pullman area retains a collection of Queen Anne–style architecture left over from Pullman’s worker housing and administration buildings. That collection is considered one of the country’s first “company towns.” Once prairie land, Pullman became part of Chicago in 1907. The boundaries of the district will be 103rd Street on the north, 115th Street on the south, Cottage Grove Avenue on the west and the Norfolk & Western rail line on the east.